Dr Cathryn Chan graduated with a Bachelor of Medicine and Bachelor of Surgery (MBBS) from National University of Singapore. She obtained her Membership in the Royal College of Obstetricians and Gynaecologists at London. She underwent three years of Advanced Sub-speciality Training, was trained in endoscopic surgery and has undergone many courses to enhance her skills. Her clinical interests are in Reproductive Medicine and Infertility. She is an accredited IVF clinician with Parkway Fertility Centre and Centre of Assisted Reproduction (CARE). Dr Chan was the gynaecologist in charge of the first successful pregnancy using frozen oocyte and frozen testicular sperm in the year 2000 and has a credible success rate in her fertility procedures. She had assumed positions as Member of the Gleneagles Tissue Committee as well as Member of the Gleneagles Medical Advisory Board (O & G Sub-section) and the Obstetrical and Gynaecology Society of Singapore. She is also an accredited colposcopist. Dr Chan was awarded the ASEAN Scholarship, Public Service Commission Local Merit Scholarship and Young Investigator Award at the Singapore General Hospital Annual Scientific Meeting. 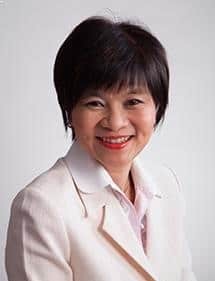 Since entering private practice in 1995, Dr Chan has provided expert medical services to both local and expatriate communities, foreign patients as well to International and local insurance companies. She speaks fluent Cantonese, Mandarin, Malay and Bahasa Indonesia.